The vast majority of buildings are simple bricks and mortar, so ensuring you choose the right bricks can have a massive impact on your finished project. Despite being the very core of most residential building projects, you might be surprised that bricks often account for less than 5% of the typical costs. An average new detached house will cost around £5000, much less for example, than the average costs of a new kitchen. There are many differing methods of brick manufacture, producing many styles with varying characteristics. Standard stock bricks, handmade, wirecut or waterstruck to name a few. 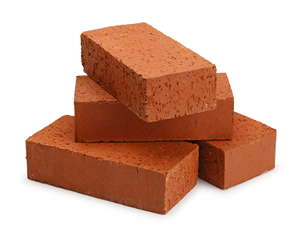 UK bricks are a standard 215 x 102.5 x 65mm, however different sizes are available. There is a growing trend for longer and thinner bricks in modern, contemporary designs. The texture of the brick will also have a big impact on the look of the finished building. Traditional textures are rougher and modern styles tend to be more monotone and smooth. The colour will obviously have a huge impact. Choose between plain or multi-coloured, reds, greys, black bricks and many modern styles are also glazed. Combining different bricks is a growing trend which can help create a unique blend of character and appearence. Don’t forget the mortar, which can account for around 15% of the facia. Pairing your bricks with the correct mortar colour is essential.